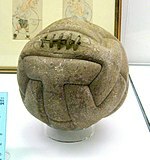 The 1930s football was taken onto the international stage in a big way. 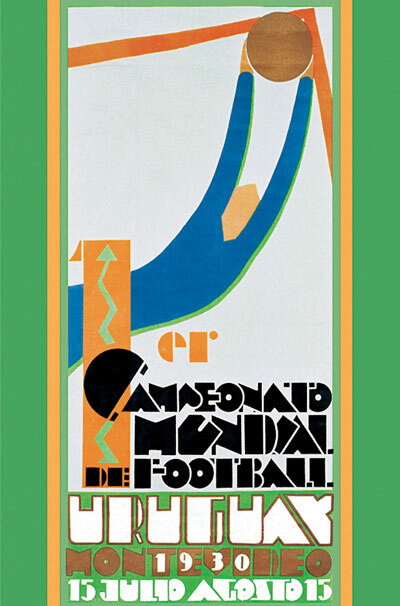 Firstly, in 1930, 13 members of FIFA took part in the first World Cup tournament in Montevideo, Uruguay. 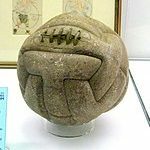 The winner of the first competition was, in fact, the home team, Uruguay, beating Argentina, and it could have been the football itself that played a part in the outcome of the first world cup final. Argentina and Uruguay could not agree on which ball to use. So they decided to use an Argentinean ball the first half and a ball supplied by Uruguay in the second half. As it turned out, Argentina was ahead at halftime 2-1 using their football. However; Uruguay came back to win the match in the second half 4-2 using their ball. 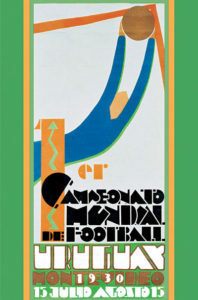 It would be played twice more in the 1930s, in Italy in '34 and France in '38 (with Italy winning both), and was then halted for 12 years due to World War II. 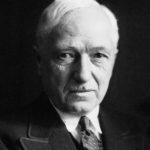 The 30s seen another big change in the professional game, and that was the introduction of the manager; they instituted a greater degree of professionalism, tactics and stricter training regimes taking the game to new levels. 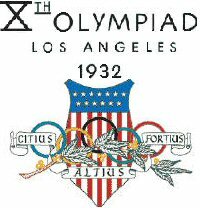 1932 and Football was taken off the program for the Olympic Games in Los Angeles, this was due to a controversy between FIFA and the IOC over the definition of amateur and the reluctance of many strong soccer countries to travel the US because of the expense involved. 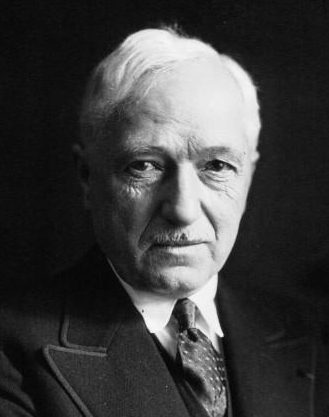 Between 1937 and 1938, the modern-day Laws of the Game were set out by future FIFA President Stanley Rous. He took the original Laws, written in 1886 and drafted them in a rational order. 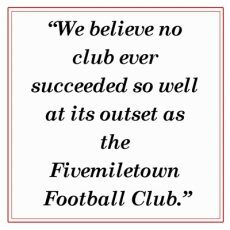 They would not be revised again, until 1997.
with Preston winning 1-0 aet. 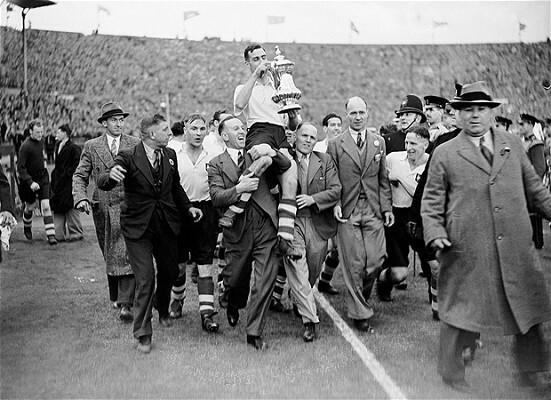 Everton had hit the headlines in 1928 by winning the league championship thanks largely to the record breaking 60 league goals of 21-year-old centre-forward Dixie Dean. 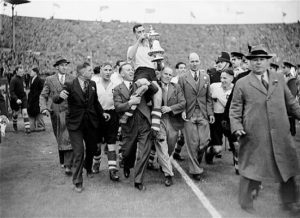 He was helped by the new rules of the 1920s, including the allowing of goals from a corner kick, and the relaxing of the offside rule, He went on to help Everton win the league twice more, in 1932 and 1939, and the FA Cup in 1933. 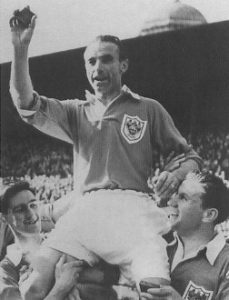 The 1930s also saw the breakthrough of other notable players including Stanley Matthews, who was first capped for England in 1934 when playing for Stoke City, and just before the outbreak of war, Tommy Lawton, who succeeded Dixie Dean in attack for Everton and England.